Many older buildings rarely have any perfectly straight walls or right angles. In fact we completed a job recently where the ceiling was completely irregular heights. 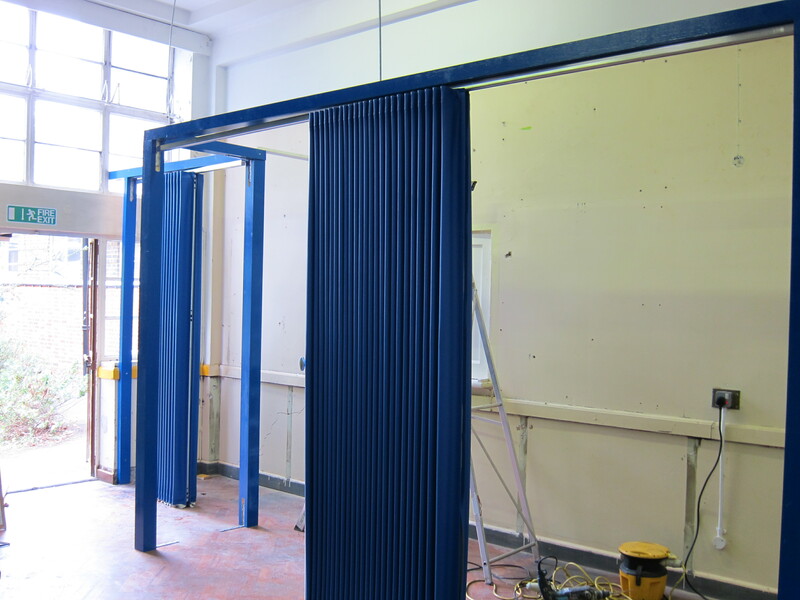 As you can see from the picture below, this is no problem and a neat solution was incorporated into the design and build of these folding partitions. Some premises need to have their flexible space organised a bit differently to the norm! This restaurant needed to be able to screen off the serving areas for parts of the day. 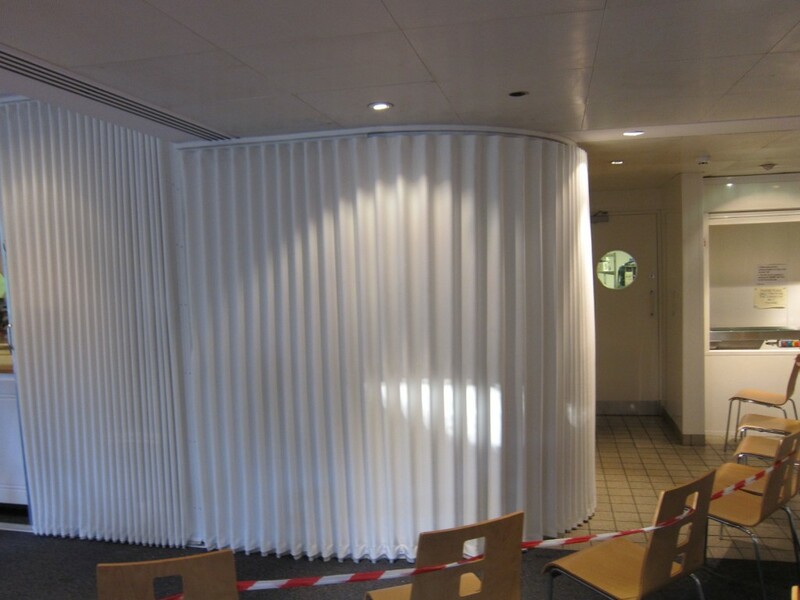 Because of the shape of the room, a curved partition was the best solution. 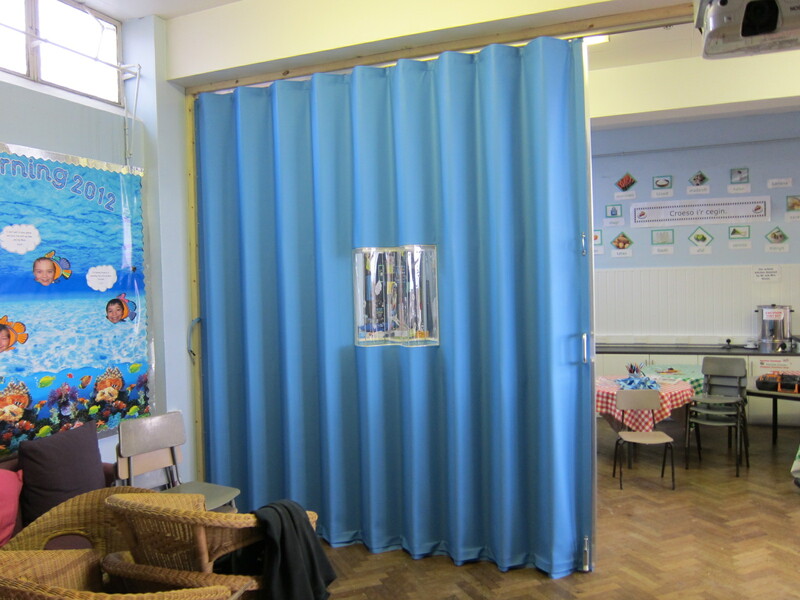 This was an unusual situation where the school needed to have a vision panel added to the folding wall so that even when the classroom was divided it was still possible to peak through with the unique viewing panel that we added. Most of our customers want a simple folding wall to divide a room in half to create two similar sized spaces. But sometimes the need is a little more complicated. In this instance, a small corner room was needed. Allowing a small sized room to be created off the main room for part of the time, then easily opened up again when required. And it’s not just rooms that we can create! This school needed moveable corridors! In many educational buildings, there is a lot of movement of people and children needing to get from one building or room to another. With so many activities going on in each part of a building it was necessary to have this flexible corridor system built in order to keep different groups of children from disrupting each other. 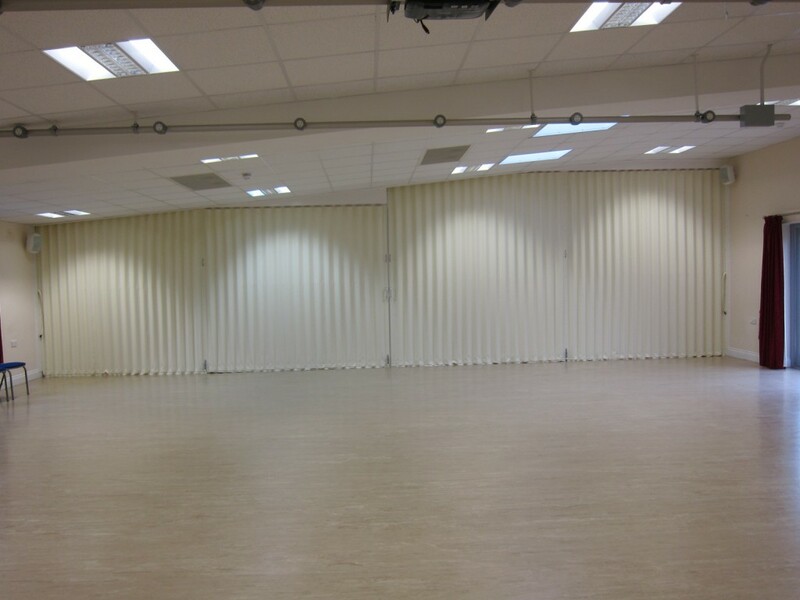 Do you have the need for creating flexible space in your premises? 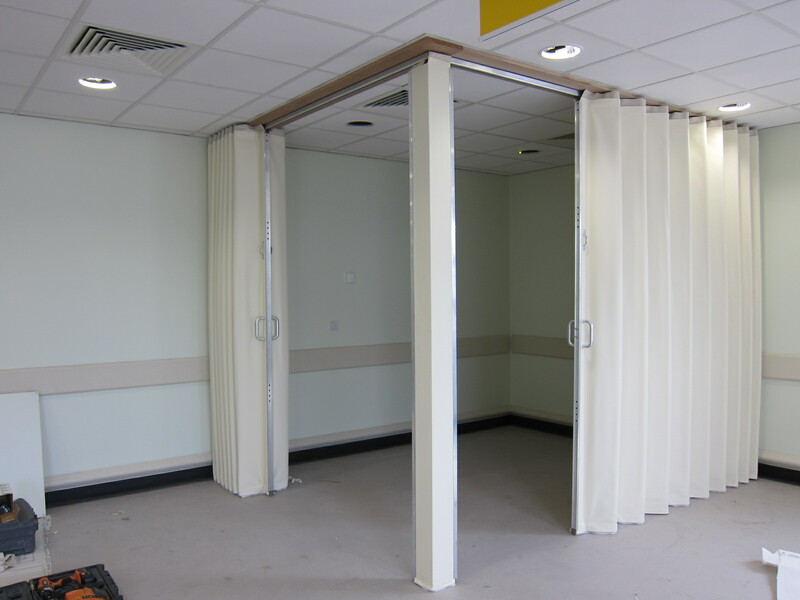 Whatever the space issue you might have, we can help you create the best solution – call us today on 01373 454577.